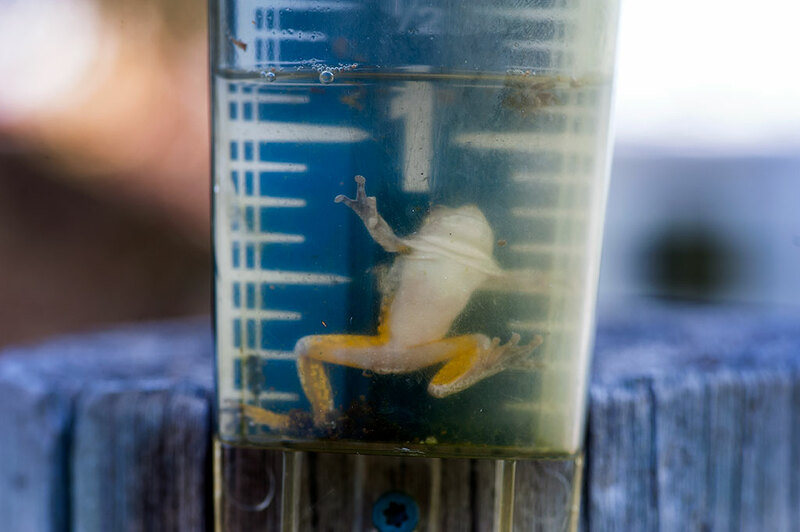 I found this tiny frog living in our rain gauge. 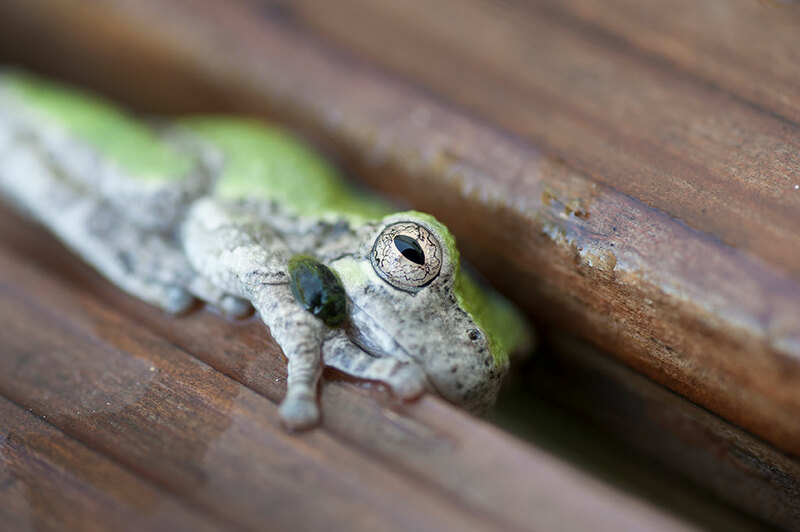 The gauge measures inches of rain, not inches of distance, so the frog is actually smaller than it appears. It is about the size of my thumbnail. I had to dump the frog out of the rain gauge so it could measure upcoming rainfall, so the frog clung to a bench in the front yard for a while. Hopefully he made his way to the pond. 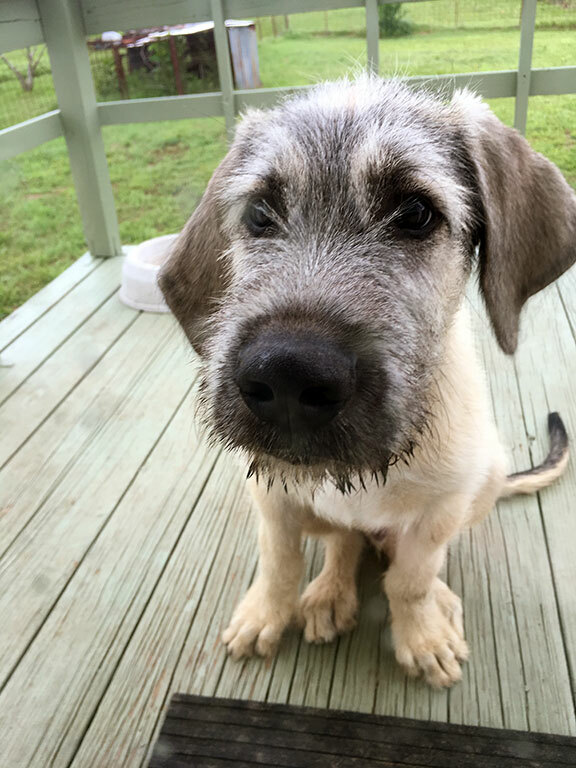 Hawken the Irish Wolfhound puppy is vying for the title of “Most Sincere Dog” of the house. He is only 18 weeks old and already weighs more than 60 pounds. 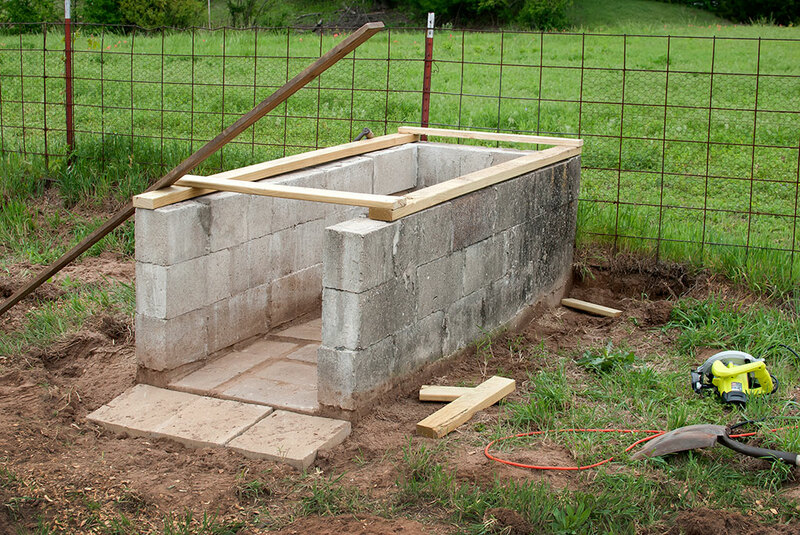 With rain in the forecast and nice evenings, I spent lots of time outdoors the last two weekends, rebuilding the roof of the doghouse, cleaning out the pen where the chicken coop lives, moving bricks and boards, re-attaching loose siding, weed whacking, cutting down dead trees, limb lopping, and of course, mowing. Abby and I switched up some of the living room yesterday at her request, and we actually had a lot of fun doing it. After moving some furniture and vacuuming everything in sight, Abby and Sierra fell asleep. I am many things – including a hard worker – but I am not much of a carpenter. I built the roof for this thing, but it isn’t pretty. I saw my doctor this morning for my six-months checkup. He had nurse Amber give me a big bolus of methylprednisolone for what he and I like to call “Photographer’s Syndrome,” or achy-break joints from standing around news and sports events with 15 pounds of gear on my shoulders. The only surprise was that their lab tech quit, so they sent me down the street to give a blood sample, but it was so crowded that I vowed to come back first thing in the morning. 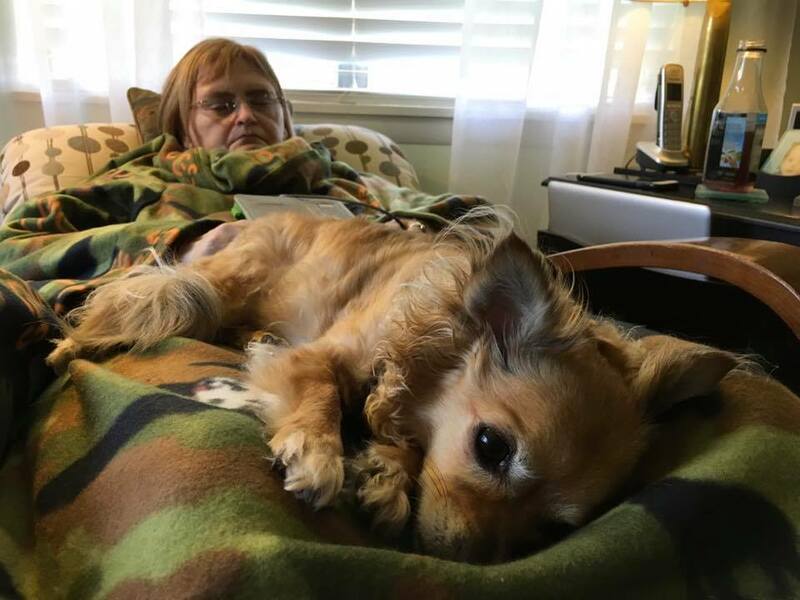 Max the Chihuahua is more of a trash dog than Sierra. 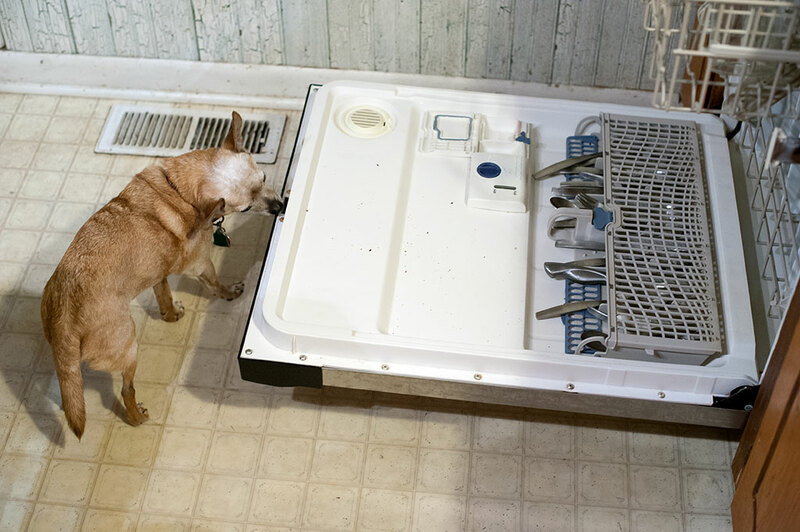 He is pictured here eating the dishwasher. Those who read the teaching blog know that in my rare spare time at work, I am organizing bunches of old prints I dug out of the morgue. It’s been incredibly fun, since I am able to post photos of people I know from when they were 20 or 25 years younger. 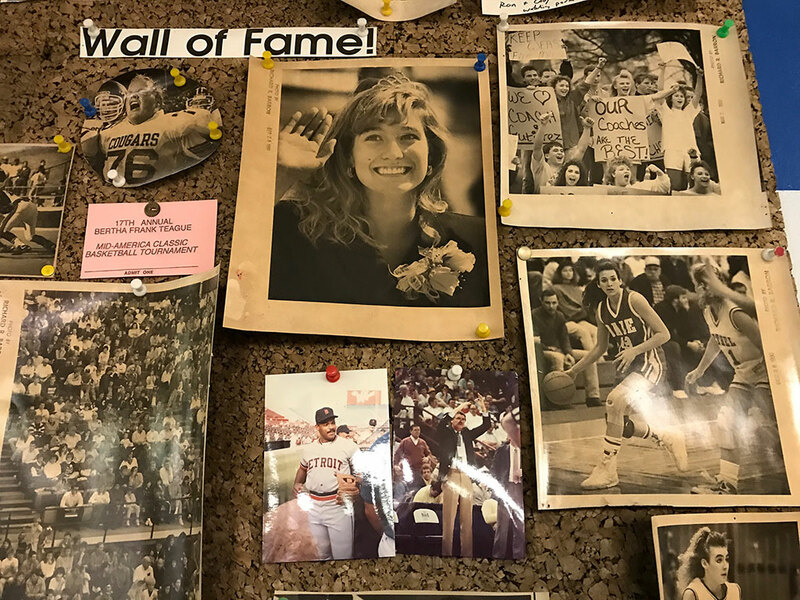 This is Sports Editor Jeff Cali’s “Wall of Fame,” a cork board behind his desk. Some of the items in this photo have been up there since 1990. Though I can’t pinpoint the exact moment I discarded religion and its deities, it was apparent from my early teen years that I had reasoned away god. My journal from tenth grade indicates that I still participated in the Episcopal Church, but only at the behest of my parents. Journal entries, and conversations I clearly recall from high school and college, show that I was an atheist. As an adult, my journal and my blog are filled with unambiguous statements to that effect. If I don’t believe in god, the real question is: what do I believe? I believe in evidence. I believe in reality. I believe in nature, and I believe that everything in nature is rational, discoverable, and real. I believe that science and genuinely open-minded exploration are the best and most elegant servants of the human condition. I believe that the science in which I have this trust is a learning, growing, changing entity that, through the scientific method, is constantly reevaluating even its most fundament principals, and is ultimately capable of discovering the core truths of the universe. 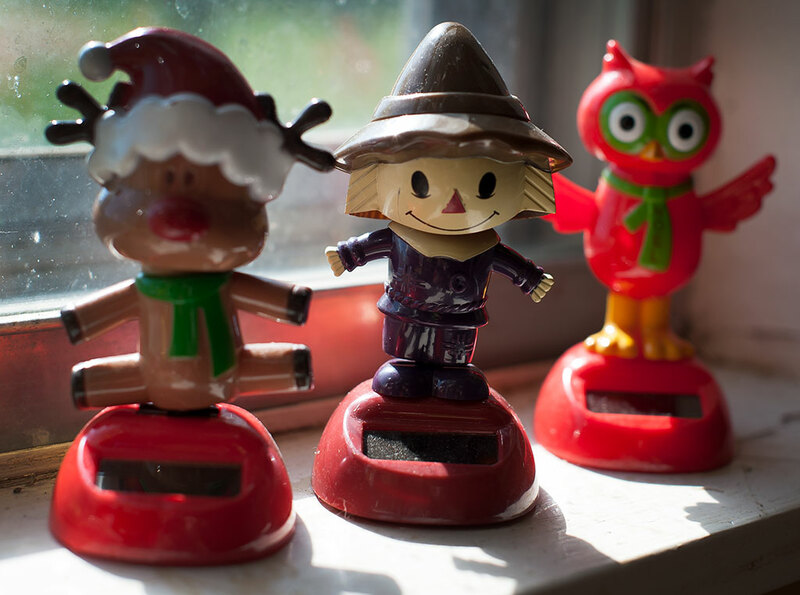 Abby was going through a box of stuff from her office (from which she retired two years ago) and found about 20 of these solar-powered bobble toys. They all dance when the sun shines on them. Those same toys are in my doctor’s office!